Something for everyone. Set between the Bowling Lanes and our bar, the Diner team are looking forward to showing you what we got! Expect MEAT, Veggie and Vegan burgers, dogs, wings, rings and fries. Plus a kid's menu, Halal chicken & yes, we are also very dog friendly. Full menu served from midday til 11pm on Sunday to Thursday. Full menu served from midday til midnight on Friday & Saturday. With space for 130 guests, we are the only bookable MEATliquor in west London! 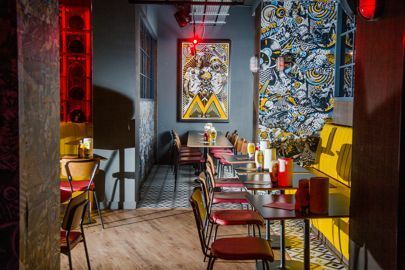 Of course you can also eat whilst your bowling from the Lanes menu, or in the bar if there's a spot, but for the full MEATliquor shebang, only the diner will do.